Makeup Brushes – A Girl’s Best Friend! I use my makeup brushes every day. They are the tools of my trade! Years ago, when I started breaking out on my face, I realized that I needed to keep them clean. Turns out, the combination of old makeup and oils is just a breeding ground for germs! 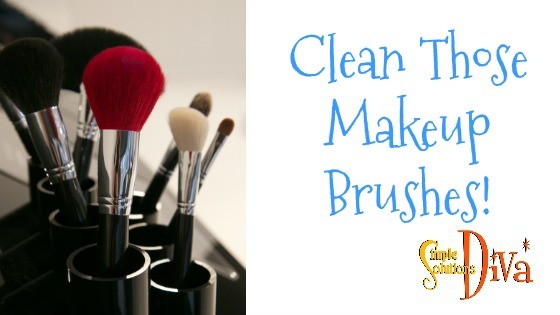 So gather up a small bowl or cup, some baby shampoo and follow my easy steps for cleaning your makeup brushes! « Sponge Paint Brushes: Not Just For Paint!